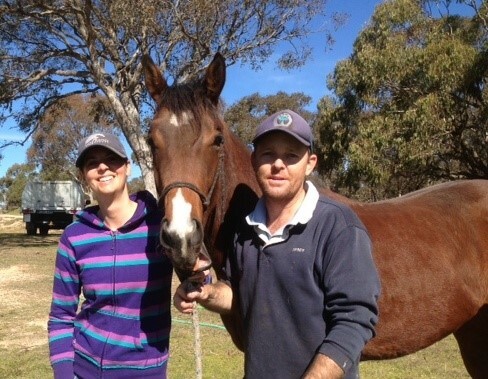 My farrier Jamie Foster and his wife Ebony recently asked me if I had any herbal solutions for her 2 year old Thoroughbred colt Cooper. He came up very lame back in May and was not weight bearing on the near fore, and at first Jamie thought he had an abscess. A few days later he started to drag that leg and the shoulder swelled badly. There was no veterinary diagnosis after x-ray and no response to restriction and bute. Jamie told the vet he thought Cooper had a condition called ‘Sweeney’ which is paralysis of the radial nerve in the shoulder. This was my opinion on hearing the story. The colt was in a lot of pain and could hardly get up from lying down, having to turn himself in several circles on his rump until he could manoeuvre himself into standing up. At this point extensive muscle wastage had developed in that shoulder. So on 17 June I made up a herbal prescription for Cooper, which he was really happy to take from a syringe over his tongue. I used herbs to promote healing of nerve damage, to stimulate arterial, venous and micro circulation and a nervine herb to help him relax his muscles. No pain relief herbs were used as Cooper was still receiving the bute (which was discontinued two weeks after starting the herbal prescription). From that time the colt started weight bearing on that leg, and his mobility and locomotion got better and better, the more he was able to use it. He has just finished his second prescription which had the nervine herb replaced with a steroidal herb to stimulate the muscle repair in the shoulder. Two months on from starting herbal treatment, there is still about 10% more repair to go to get his shoulder muscles even again, and he is galloping and bucking around his paddock, full of the joy of being a young colt in spring. He is a very active colt and it is easy to see that he did injure himself in the paddock to start with. He is also very naughty so it was quite difficult to get the photo of him standing still for a moment with Ebony and Jamie! His diet is all natural based on oats and lucerne, plus rose hips, French white millet, cold pressed flaxseed (linseed) oil and black sunflower seeds. Ebony and Jamie are pretty pleased as Cooper is a well bred very good type of colt with a career as a racehorse planned for him. If you’re interested in finding out about which conditions are treatable with herbs, have a look at my list of treatable ailments here. 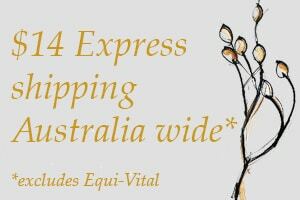 Find out more about having a herbal remedy prescribed for your horse.